The community services, construction, manufacturing and business services sectors helped boost employment growth in the first quarter of the year, which saw an additional 56 000 jobs being created. According to the quarterly employment statistics released by Statistics South Africa (Stats SA) on Tuesday, employment increased from 9.78 million in December 2017 to 9.83 million in March 2018. The survey uses samples from private non-farming businesses and includes factories, firms, offices, stores and government entities across all spheres – national, provincial and local. It focuses on several industries, including mining and quarrying, manufacturing, electricity, gas and water supply, and construction. It showed growth in community services by 2.6% or 67 000 jobs, construction by 2% or 12 000 jobs, manufacturing by 0.8% or 9 000 jobs, and business services by 0.2% or 4 000 jobs. There were declines in the trade industry by 1.2% or 26 000 jobs, mining and quarrying by 1.5% or 7 000 jobs, and transport by 0.6% or 3 000 jobs. Overall, employment increased by 74 000 or 0.8% between March 2017 and March 2018. Jobs growth in the electricity industry remained unchanged, the report read. Gross earnings to employees decreased by R25.6bn, or 3.9%, from R658.89bn reported in December 2017 to R633.27bn in March 2018. "The decrease was mainly due to decreases in community services, trade, manufacturing, construction, transport, electricity and mining and quarrying industries," the report read. 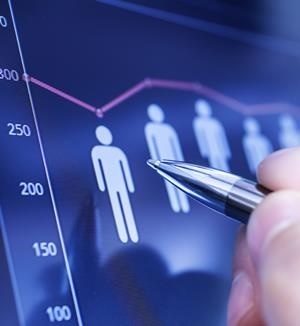 Only the business services industry reported an increase in earnings over the quarter by R6.27bn. Overall, between March 2017 and March 2018, gross earnings increased by 1.1% to R7.174bn. "Average monthly earnings paid to employees in the formal non-agricultural sector decreased from R20 060 in November 2017 to R19 858 in February 2018," according to the report.